October is Breast Cancer Awareness Month, a time to reflect on new, individualized approaches to detecting and treating a cancer that affects 1 in 8 American women. 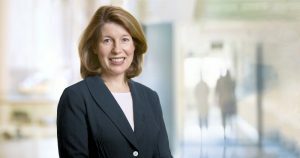 Deborah Rhodes, M.D. and her Mayo Clinic colleagues are working to identify the best targeted screening tools and guidelines for women with a higher risk of developing breast cancer – those with dense breast tissue and those with an inherited genetic variation linked to the disease. 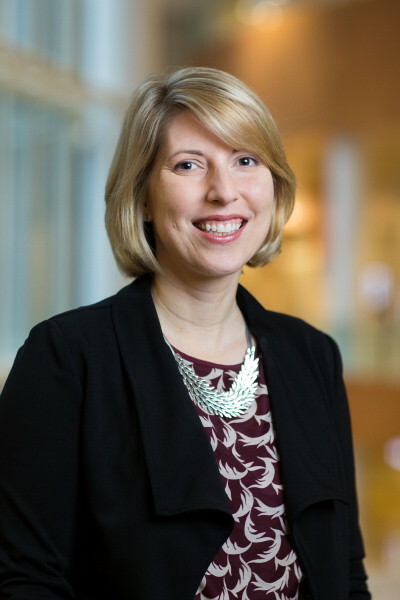 With support from the Center for Individualized Medicine, Dr. Rhodes and her colleagues have developed research to find the best way to screen for breast cancer in these populations, with the goal of detecting and treating the disease sooner. “It’s critical to detect breast cancer early because survival is linked to tumor size at the time a patient is diagnosed. If we discover a tumor when it is less than one centimeter, that patient has over a 90 percent chance of surviving. That’s why we are evaluating how to use new imaging techniques and genetic tests to provide the best care for patients who are at higher risk of developing breast cancer.” – Deborah Rhodes, M.D. According to Dr. Rhodes, the 27.6 million women in the U.S. who have dense breast tissue may not be effectively screened with mammography alone. Many states have laws that require physicians to notify women if they have high breast density and how this affects breast cancer detection and risk. As Dr. Rhodes explains, “We want to build awareness so that women understand that high breast density is the primary reason for missed or delayed breast cancer detection. Dense breast tissue can mask cancer tumors on mammography. Since high breast density increases a woman’s risk of developing breast cancer, it’s important that we find effective screening methods to identify the cancer early, when it is most treatable,” says Dr. Rhodes. Since there are no consensus guidelines on how best to screen these patients, Dr. Rhodes and her colleagues are conducting a comprehensive evaluation of two screening approaches – 3-D mammograms and molecular breast imaging (MBI). 3-D mammograms have replaced 2-D mammograms as the standard screening tool in many centers. Research has shown that the main benefit of a 3-D mammogram is that it reduces the chance that a patient will be recalled for additional testing because of findings that are false positives and not due to cancer. “MBI has been shown to more clearly distinguish between dense breast tissue and tumors. In a Mayo Clinic study, MBI detected more than three times the number of cancers compared to 2-D mammograms. We’re exploring whether MBI provides this same advantage over 3-D mammograms,” says Dr. Rhodes. In addition to comparing cancer detection rates, the Mayo MBI research team is also analyzing the costs associated with each screening method. The team is also addressing a common concern about the higher radiation dose used in MBI, compared to 3-D mammograms. Dr. Hruska and physicist Michael O’Connor, Ph.D. have made several modifications to the MBI system to permit the exam to be performed at a low radiation dose that is safe for routine screening. The researchers are aiming to lower the radiation dose even further to the same level as a mammogram by applying an image processing algorithm to reduce “noise” in the MBI images. In preliminary studies, using this mathematical model allowed radiation dose to be cut in half, yet the ability to detect breast cancers was preserved. “We’re carefully evaluating both screening tests and hope to have substantial data to support cancer screening recommendations for patients with dense breast tissue – recommendations that are needed to save lives through earlier detection and treatment,” says Dr. Rhodes. Mayo researchers and physicians are also collaborating to streamline care for patients whose breast cancer is linked to inherited genetic mutations. A finding of hereditary cancer could lead to changes in treatment, and it could alert other family members that they may also be at a higher risk of developing breast cancer. Along with Myra Wick, M.D., Ph.D., Dr. Rhodes is co-chair of the Mayo Clinic Familial Cancer Cross Disciplinary Disease Group. The group brings together experts from many specialties –radiology, genetics, surgery, gynecology, oncology, endocrinology, laboratory medicine, pathology and primary care. Their goal is to identify the best care guidelines for patients who either have or are suspected to have a genetic variant linked to hereditary cancer. “Whether these patients have already been diagnosed with hereditary breast cancer or have a family history suggesting they may have a hereditary breast and ovarian cancer syndrome, we want to identify the best care pathway for them. We’re mapping each patient scenario to determine how to guide their medical care over a lifetime,” says Dr. Rhodes.